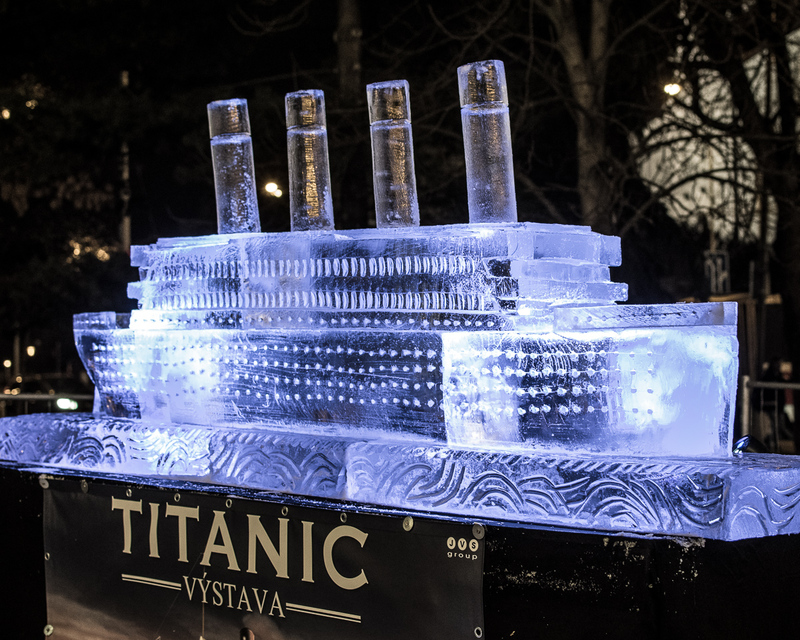 From Friday afternoon, visitors to the Christmas market on Moravské náměstí can notice a new attraction beside the Ferris wheel: a statue of The Titanic over two metres long. Photo credit: Casadei Graphics. Brno, Dec 15 (BD) – The ice statue is related to the Titanic exhibition open at Brno Exhibition Centre (Read more in our previous article “In Photos: Genuine Artifacts from The Titanic on Display at a Unique Exhibition in Brno”). The statue will remain on Moravské náměstí until it melts, and should be available to view for at least a week, depending on weather.